Today’s challenges… keeping going. Letting the water and the paper and the pigment do what they will as they dry. 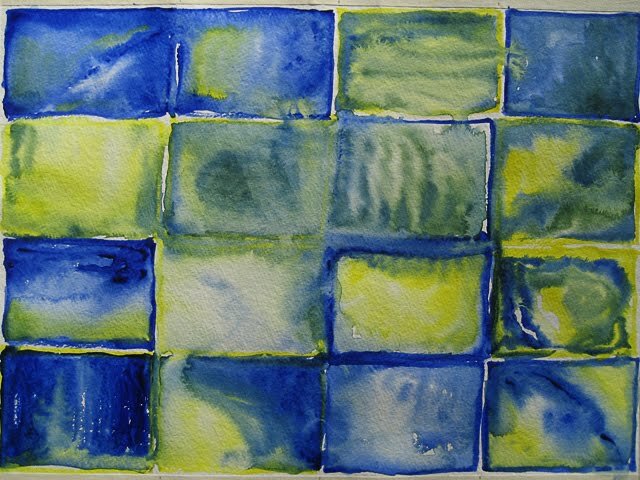 And accepting the results as the watercolor does the work of painting all by itself. All I do is initiate the process. And I will use the results to prepare myself for tomorrow’s painting. I love watercolor. Don't you? I love the fluidity. Each small section of your paintings gets the imaginative juices flowing.I can almost picture images emerging from them. Love the composition of repeating boxes and the pure color. Amazing! You are definetly active in being. Beautiful colors and flow. The second one is a detail, isn't it? What size is it? I love theses colors,and the way the colors merge together.Soft yet Bold. Beautiful colors! I love letting the colors blend and flow...it's fascinating! 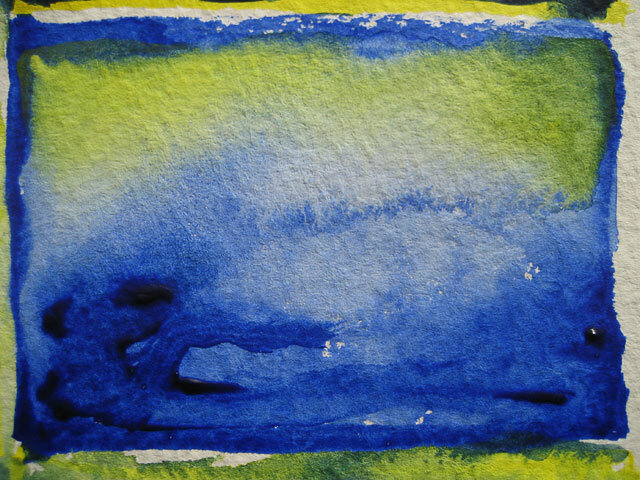 I love that you are letting go, surrendering to the paper and the watercolor, one of my favorite mediums, too!